Specifically designed for mature skin. Improves skin cell renewal with Hyaluron, Collagen Booster and Elastin Booster. The new NIVEA Hyaluron Cellular Filler + Elasticity & Re-densifying care range is specially designed to meet the needs of women over 60 years of age. The products supply the skin intensively with moisture and support skin cell renewal. Deep wrinkles are visibly reduced and skin is strengthened and feels firmer. The NIVEA Hyaluron Cellular Filler + Elasticity & Re-densifying Day Cream SPF 30 helps the skin regain its own hyaluronic acid, collagen and elastin* and replenish the skin's own moisture stores. Thanks to SPF 30, it protects against damaging UV rays - one of the main causes of pigmentation. The NIVEA Hyaluron Cellular Filler + Elasticity & Re-densifying Firming Night Cream is the perfect supplement to day care. The rich formula with shea butter unfolds its anti-aging effects overnight and supports natural regeneration. * For reduced wrinkles, firm skin and a pleasantly supple skin feeling in the morning. * ingredients, Hyaluronic Acid, Collagen and Elastin Booster. Recommendations for use: Use before or after day and night care, depending on your needs. The innovative formula of the NIVEA Hyaluron Cellular Filler + Elasticity & Re-densifying Anti-spot Treatment Serum actively helps to reduce age spots and pigmentation on the face, décolletage and hands for a more even skin tone and visibly younger-looking skin. First results are visible after just 4 weeks of use. Recommended Use: Serum should be used before day and night care. For very dry skin first apply the serum and as a second step the oil before using the day and night care. Pampering fragrance - In order to develop the ideal fragrance, numerous fragrances have been tested many times, selected and continuously developed. So NIVEA achieved a sensational result: a modern interpretation of traditional fragrances in an unmistakable NIVEA way. Dr. Svenja Möllgaard, Laboratory Manager, Research and Development NIVEA Face Care, answers the most important questions about the innovative NIVEA Hyaluron Cellular Filler + Elasticity & Re-densifying series, and explains what makes them so special. Our skin reveals our true age. What else can one do against wrinkles, dryness and loss of elasticity? We cannot stop the ageing process of our skin. However, in in vitro tests, we found that we can help the skin to produce more of the three building blocks of hyaluronic acid, collagen and elastin. For a healthier and younger look. Why are hyaluronic acid, collagen and elastin so important to our skin? Collagen fibres give the skin structure. As connective tissue fibres, they are particularly important for skin firmness. Elastin fibres are mainly responsible for the elasticity of the skin. Together, they help the skin to strengthen. They are embedded in a gel-like, hyaluronic acid-containing substance. Hyaluronic acid helps the skin retain moisture and maintain its volume. 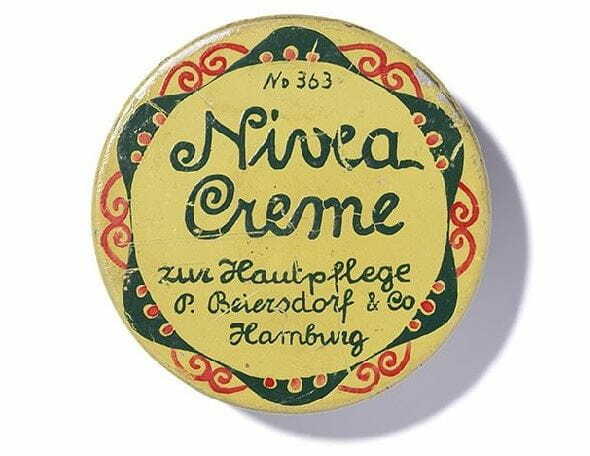 How does NIVEA Cellular help skin's elasticity & density? We have developed the new NIVEA Hyaluron Cellular Filler + Elasticity & Re-densifying range especially for the skin of women over 60 years. The special active complex in the formula stimulates skin cells to form more hyaluronic acid, collagen and elastin. The positive effect was demonstrated in vitro in cell cultures. The day care has an SPF 30. Do I really need such a high sunscreen all year round? Yes absolutely. Penetrating UV rays, even through window panes, can promote premature skin aging. Many think that we only need sunscreen when we spend a lot of time outdoors. But that's not true. Those who want to prevent the formation of deeper wrinkles and pigmentation should protect their skin at home or at work with a sufficient SPF. The new NIVEA Hyaluron Cellular Filler + Elasticity & Re-densifying series consists of four products. What should you start with? Start with the day and night care. During the day, the skin must be supported in defending against external influences. At night, the focus is on regeneration, especially cell renewal. The two special products – the serum and elixir - can be used as a supplement for advanced, special care.